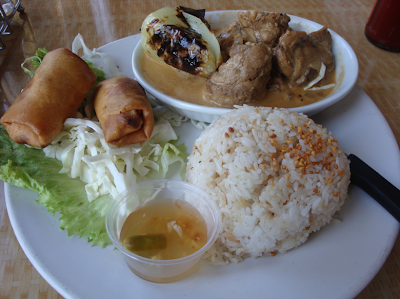 Spicy Coconut Chicken - it was mildly spicy, the coconut sauce was subtle, and it paired well with the garlic fried rice. 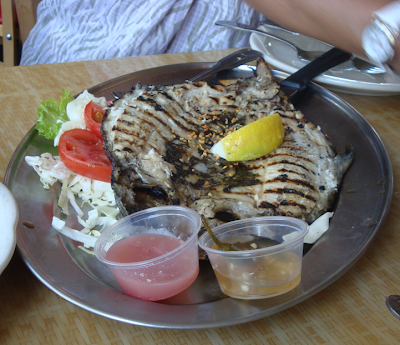 Boneless Bangus - A grilled deboned, lightly marinated milkfish. 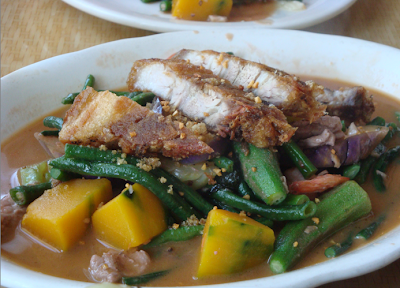 Pinakbet - Mixed vegetables (squash, okra, long beans, eggplant) with bagoong alamang (shrimp paste), shrimp, and pork. 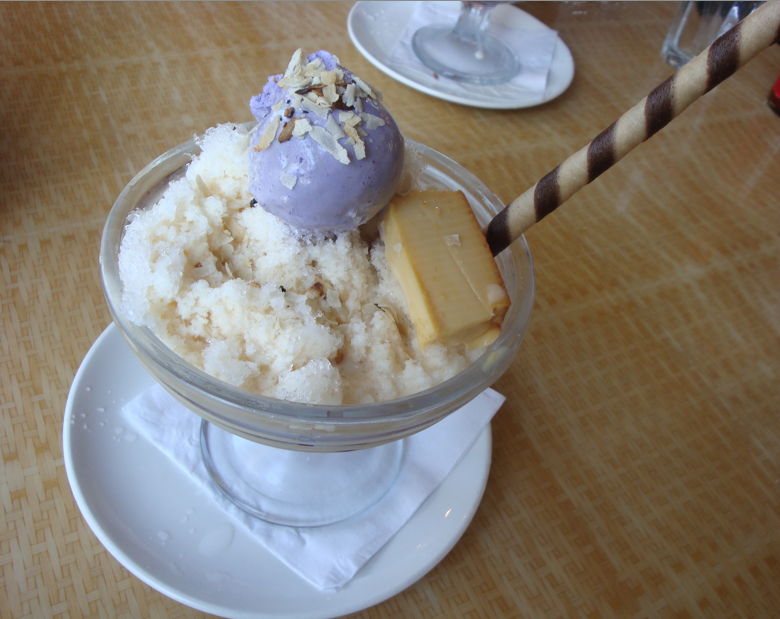 Halo-Halo - I'd choose this over a smoothie any day, sarap!